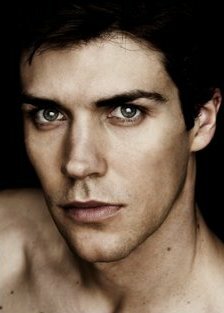 How does Roberto Bolle, Italian ballet superstar and one of Italy’s most beloved artists, find a moment to sit down and chat? 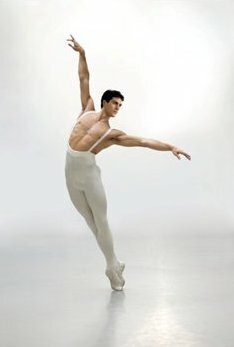 But luckily, one day, after ABT company class and rehearsals, and before stepping out on the red carpet at the Metropolitan Museum of Art’s star-studded annual Costume Institute Gala, Roberto took a few minutes to discuss his favorite choreographers and ballerinas, his upcoming Roberto Bolle and Friends, and what the future may have in store. Who are some of your favorite ballerinas? Who do you love dancing with? Ah, I love dancing with Svetlana Zakharova (Bolshoi) – she’s so perfect physically and technically – so beautiful. I also love Julie Kent – we’re working on Frederick Ashton’s A Month in the Country at ABT – a debut for us – working in a piece like that is very interpretive and emotional. Julie’s a great artist and I like to share the stage with her. 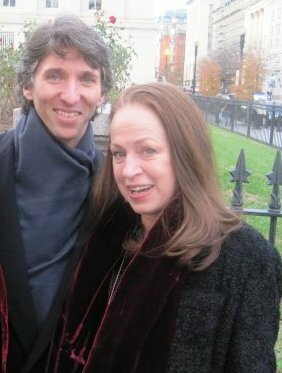 Sometimes I miss Alessandra Ferri – she’s great – we hope to dance together again in the future. Who are your favorite choreographers? I will be dancing in ABT’s world premiere of Alexei Ratmansky’s Shostakovich Trilogy at the end of May, in Symphony #9. I like the choreography and like working with Alexi – I think he’s one of the best choreographers now and one of the best in the world. He’s smart and fast and very demanding – it’s not easy – it’s very hard work and sometimes we have a short period of rehearsal time to put things together, working with the corps and principals. Everyone’s involved in the movement and it’s good – I love working with him. I also love dancing Balanchine because I think he was a genius. One of his great masterpieces that I like is Apollo – I’ve loved it every time I’ve danced it. I have to say I also really like Kenneth McMillan – I’ve done Romeo and Juliet and Manon – he’s great because he used the technique to express emotions. It’s beautiful to be on stage and be Romeo and play the character, because you can actually dance and feel so much emotion. His work is a great combination of musicality/choreography /story. 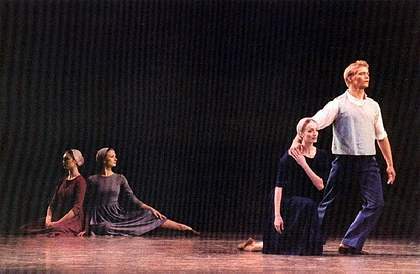 Antony Tudor‘s work is also very emotional, but Leaves are Fading is the only piece I’ve danced by him, and it’s a shame. I’d like to do more. 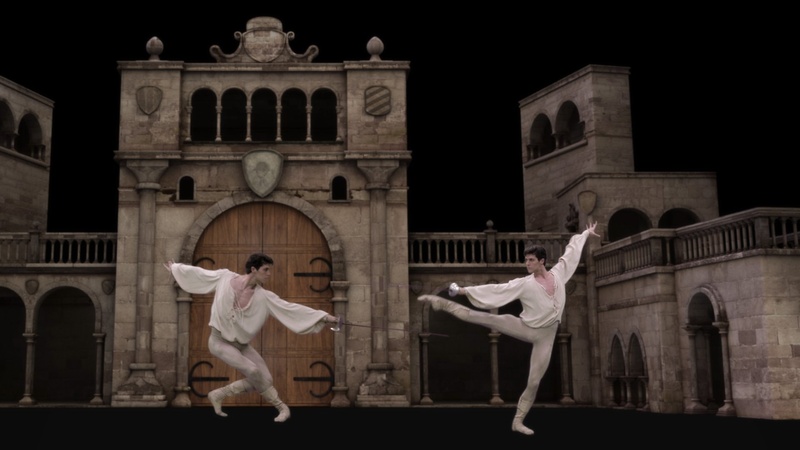 Roberto Bolle and Friends Gala is a performance I’ve been doing in Italy for the last ten years. 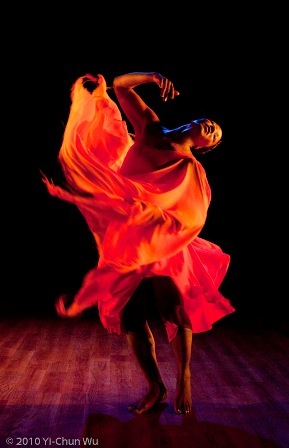 I am dancer and Artistic Director. I choose the dancers and with them we choose the pieces to perform. 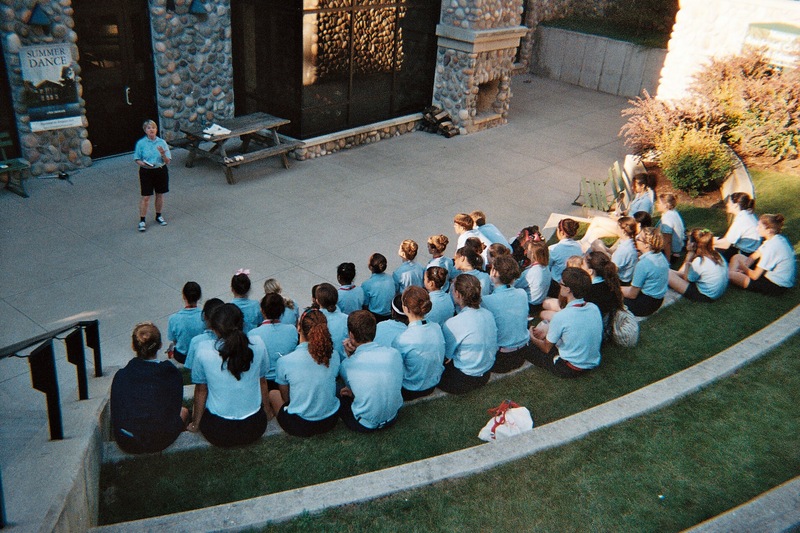 The focus is on bringing ballet to the public, and we often do so in dramatic outdoor spaces. We’ve performed in so many beautiful and unique places in Italy – from the Coliseum to biggest square, the Duomo, in Milan. We’ve performed in an outdoor arena in Verona with 10,000 people in attendance. In Milan there were 50,000 people – it was like a pop event! What gave you the idea to put this show together? In the beginning the idea was to be like Pavarotti and Friends and what that did for opera – the idea of putting together friends and artists you admire and go on stage and do a sort of gala performance. Often we could bring together artists I admire who never had a chance to perform together, particularly in Italy. 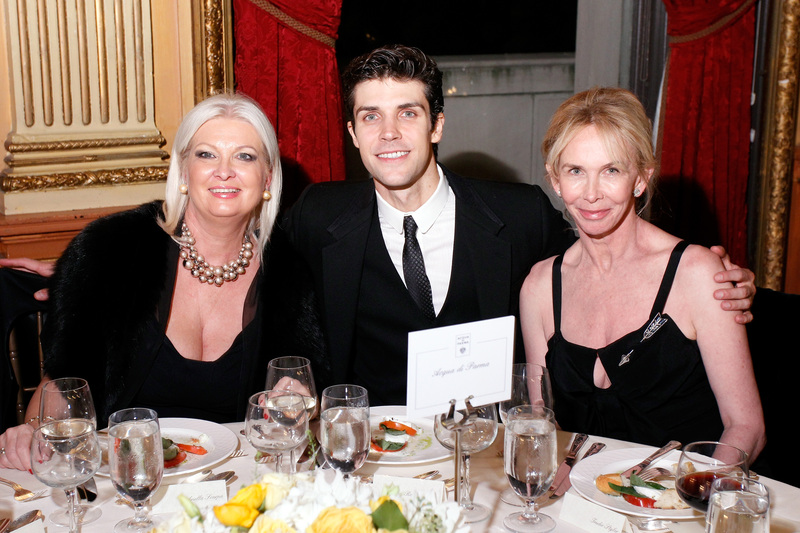 What brings Roberto Bolle and Friends to New York City Center? It was already a big achievement to celebrate the “Year of Italian Culture in the United States.” The embassy and the Italian Ministry of Culture wanted to bring the most important kind of events and performances here as part of that celebration. I am honored to be representing the best of Italy. The show will feature 10-11 pieces, almost all solos and pas de deux. In the future, when I stop dancing, I would like to be Artistic Director of La Scala. It would be great to have a company to work with, and to work with young people and promote and coach them, to be the director and do the artistic part as well. How do you stay in shape? You actually look like Apollo! I stay in shape from ballet – there’s no special routine at the gym. I eat well, stay away from junk food, and don’t eat carbohydrates like pasta and bread. But I do eat rice… I come from a part of Italy where they produce rice (Piedmont) – so, I eat lots of rice! Also, I stay away from sweets. 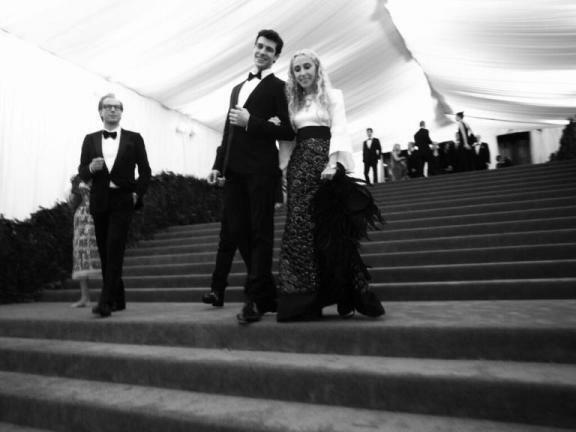 You are on your way to the Metropolitan Museum of Art’s annual Costume Institute Gala, New York’s party of the year. I hear you’re sitting with Katy Perry. Who else are you going with and, most importantly – what are you wearing? 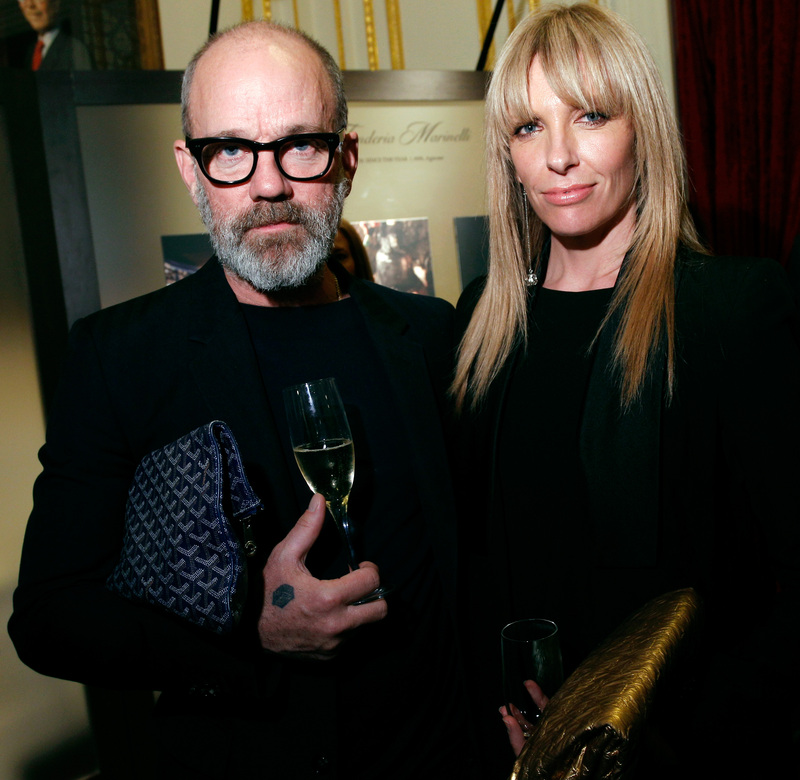 Actually, I’m a guest of designers Dolce & Gabbana, they’re friends of mine. I’m at their table and so is Katy Perry. What am I wearing? Well, Dolce & Gabbana, of course! This story first appeared in the Huffington Post Arts/Culture page, May 9, 2013. Sometimes I feel like I’m crumbling… one day my knees are the problem, another day my back, some days my hips or feet. Sometimes I feel like I can conquer the world, so bendy and free, and other days just taking the barre feels like a challenge. As an adult dancer who takes two to three ballet classes a week, I get sick and tired of my never-ending aches and pains, but unfortunately, that’s the reality when you’re still taking class over the age of 50(!). Sadly, as a person ages, their body just doesn’t perform the way it used to. In the old days, I would take class and focus on technique; now, my focus often turns to a stiff back, knees that don’t bend deeply enough or shoulders that ache when I move this way or that. Of course, injuries to dancers are common – ligament tears, overuse injuries, ankle sprains and knee pains… it goes with the territory. (And dancers should always see a doctor if they’re dancing through pain and no one should ever come back to class without clearance. Waiting without treating an injury surely does more harm than good)! But this musing is not about handling serious dance injuries – it’s about facing the inevitable stiffness and loss of flexibility that comes with age. When a dancer matures, so does the technical difficulty of the dance class. So, why do we continue to go? Because we take pleasure in ballet’s discipline and enjoy interpreting the beautiful music. We like to work hard and bend our bodies in ways that are unlike any other type of exercise. We feel joy in artistic movement and find satisfaction in that, despite the physical obstacles. We manage by substituting less flexibility for increased artistry; we use the music differently and phrase our dancing, perhaps, more eloquently; we re-focus on grace and posture. We “mark” when we need to and sometimes alter the combinations to suit. Regardless of our age, we receive gratification from striving to be our personal best. If a bad left knee means a grand jeté only to the right, that’s OK. If, because of that knee, you relevé only on the right foot, that’s OK too. So what if your petit allegro isn’t what it used to be? The important thing is that we’re there, in ballet class, doing what we love and striving to be our best. That’s what I do, and I feel like I still belong. Modern dance lovers take heed: There are big doings this September at the Ailey Citigroup Theater in NYC, when the American Dance Guild (ADG) hosts their annual Performance Festival with more than 30 artists/choreographers featured over four nights. Living legends of modern dance Dianne McIntyre and Elaine Summers will be honored with tributes, and works by Molissa Fenley (also performing), Harald Kreutzberg, and performances by John Pennington and Joseph Mills included. Festival dates are Sept. 6-9. Ms. McIntyre, a champion of dancing to live jazz music, will be presenting Life’s Force, a signature work of Sounds in Motion, the first company Ms. McIntyre formed in 1972. This time the presentation will feature a reunion of past dancers and musicians, with jazz trumpeter Ahmed Abdullah leading the band along with a cast of 20 dancers who worked with Ms McIntyre both recently and long ago – a celebratory reunion! 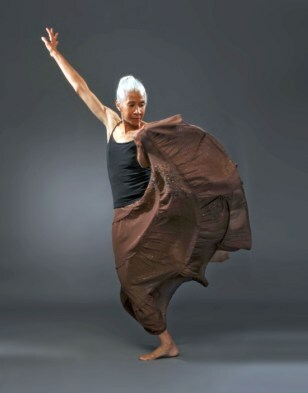 Elaine Summers, an innovator since the 1960’s as a choreographer, teacher, filmmaker and interdisciplinary artist, was an original member of the workshop that spawned the Judson Dance Theater. 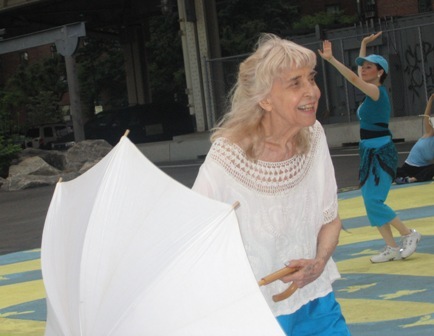 Some know her as the person who filmed Trisha Brown walking on the walls of the Guggenheim. We’re excited to see Windows in the Kitchen, her 1976 vanguard intermedia work featuring Douglas Dunn performing live with composer/performer Jon Gibson, alongside dancer Matt Turney on film. Ms. Summers work is currently being archived at the Jerome Robbins Dance Collection of the NY Public Library at Lincoln Center. ADG is an organization that has served the dance field for 56 years, and Festival ’12 continues their tradition of bringing together artists from across the nation and internationally. 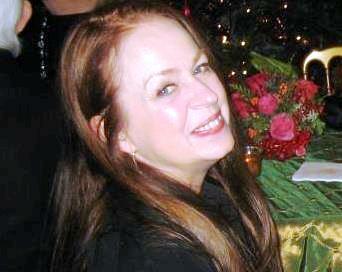 “What makes us distinctive is that we honor the past and promote the future,” says Mary Seidman, Festival co-producer. 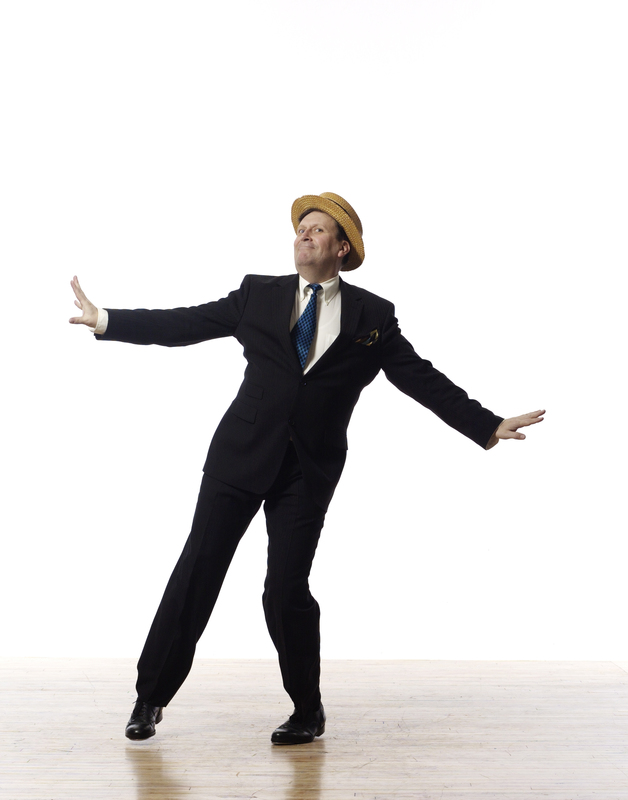 ADG promotes the new, and preserves the living history of modern dance as an art form. That is something special modern dance lovers won’t want to miss! Adria Rolnik is helping promote ADG Performance Festival 2012, September 6-9 at the Ailey Citigroup Theater, The Joan Weill Center for Dance, 405 West 55th Street at 9th Avenue, NYC. Performances are 8pm Thurs/Fri/Sat, and 7pm on Sun. Visit http://www.brownpapertickets.com/event/253476 for tickets. 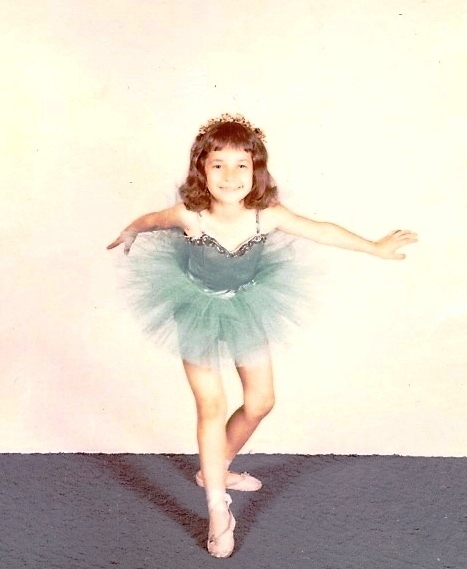 This blog first appeared on the Huffington Post Dance Page, August 23, 2012. The Vail International Dance Festival 2012 kicks off its 24th season, July 29-August 11, with a packed two-week schedule crossing many genres of dance and program formats. This year the annual summer showcase for dance has a diverse line up, including the return of New York City Ballet MOVES, the Vail debut of Martha Graham Dance Company, plus International Evenings of Dance and Dance for $20.12. Additional programming will continue to embrace its original mission of advancing education in the arts through community-based off-stage events such as Celebrate the Beat and Village Vignettes. Led by Artistic Director Damian Woetzel, VIDF has grown into one of the most renowned summer festivals in the world and has been widely acclaimed for its innovation. The 2012 event will feature ten performances at the Gerald R. Ford Amphitheater and Vilar Performing Arts Center. 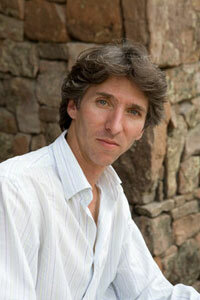 Damian Woetzel is a former ballet star with a storied career in dance. He was a Principal Dancer at New York City Ballet from 1989 until his retirement from the stage in 2008, where he had works created for him by Jerome Robbins, Eliot Feld, Twyla Tharp, Susan Stroman, and Christopher Wheeldon among others. Among his recent projects was directing the first performance of the White House Dance Series in September of 2010, which took place in the East Room of the White House and was hosted by First Lady Michelle Obama. 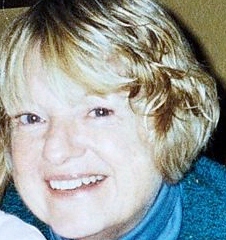 In 2009 and 2010, Woetzel produced and directed the World Science Festival Gala Performances at Lincoln Center’s Alice Tully Hall. For the 2010 event he created an arts salute to science honoring the theoretical physicist Stephen Hawking, featuring performances by Yo-Yo Ma, John Lithgow, and Kelli O’Hara among others. What makes this festival different from other dance festivals? I try to always present performances that can’t be seen anywhere else, whether it’s a new partnership between dancers from different companies, or new works made especially for the festival or special performances in the UpClose series that explore an aspect of dance in depth. Some examples from this year are the pairing of Carla Korbes the ballerina from Pacific Northwest Ballet with Eric Underwood from the Royal Ballet– they have only ever danced together here in Vail and it is a wonderful partnership, Carla is also dancing with Cory Stearns from American Ballet Theatre, another partnership you won’t see anywhere else. The UpClose performance this year celebrates the incredible repertory of works created by George Balanchine to the music of Igor Stravinsky, and we will look at the works danced rehearsal style by the dancers of New York City Ballet MOVES. Are any of the pieces or programs new? Our “NOW” performance presents a number of world premieres this year, among them new works by Brian Brooks who is creating a piece with the great ballerina Wendy Whelan for the first time, and Christopher Wheeldon whose piece uses the incredible modern dancer Fang-Yi Sheu, and then Martha Graham Dance Company is premiering a new Lamentation Variation by Doug Varone–all are new works, but also new collaborations between wonderful artists. Why Vail? What prompted this location and how does it differ from a festival in New York for example? The Gerald R. Ford Amphitheater in Vail is unlike any other performance venue in the world, set with mountains and trees as a backdrop. 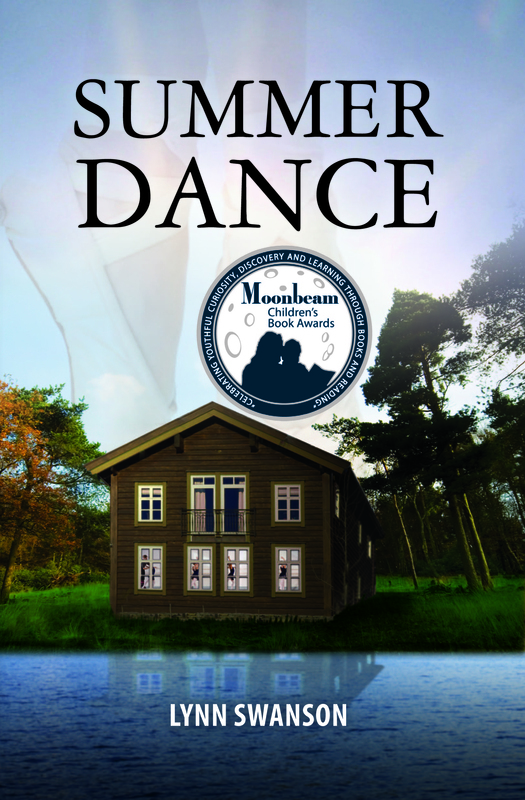 One of my favorite memories is Balanchine’s Serenade being performed there as the moon rose in the sky behind the stage – amazing! Next year will mark the 25th Anniversary of the Dance Festival. In recent years, what changes have you witnessed that make you especially proud? 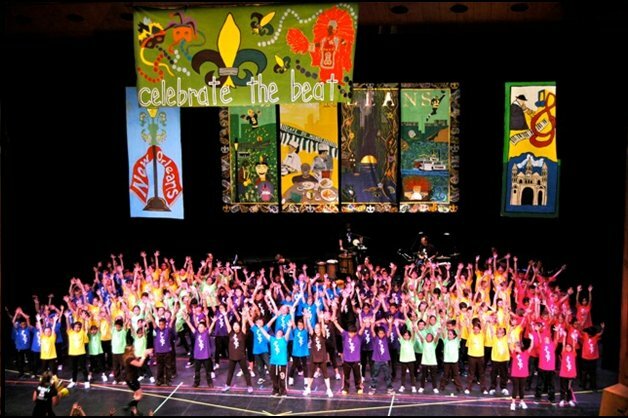 In 2006, my wife Heather Watts had the idea to bring “Celebrate the Beat” – a dance and music education program – to Vail. This is a life changing program that teaches children how to learn and how to succeed, all through the arts, and now it is had been in the local schools in Vail for six years! I also take a lot of pride in our Dance for $20.12 program, which launched in 2008 and allows people an opportunity to see a world-class performance, all at a price that opens the door wide to new audiences. If a “dance rookie” who is new to the VIDF and wants to attend a performance wanted advice on what to attend and look out for, what would be your advice? I would definitely suggest coming to a series of performances to get a sense of what the person likes–to develop a taste for it. But if it were just one performance they could attend I would suggest the Dance for $20.12 performance, or one of the International Evenings as there is a real variety of dance styles to enjoy. What piece(s) are you most excited to see performed? I am really looking forward to seeing the new pieces on the NOW evening, and also very interested to see Jerome Robbins Moves on the Monday 7/30 performance by New York City Ballet MOVES–it is a groundbreaking ballet in silence that Robbins created in 1959, it’s a masterpiece, and to see it outside in Vail with the music of nature and life as its score is an incredible and unique opportunity. To learn more, visit www.vaildance.org. 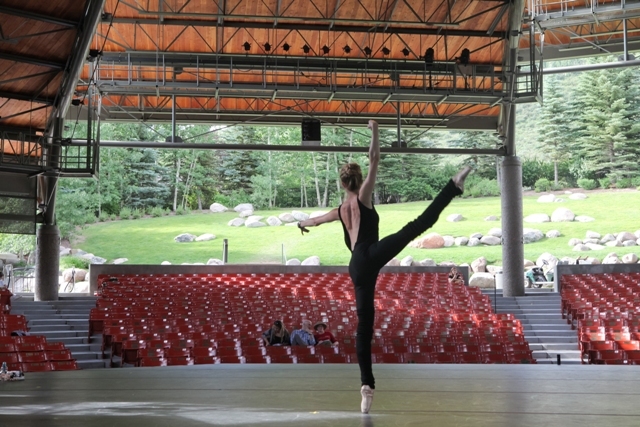 New York City Ballet MOVES performing an excerpt from Jerome Robbins Dances At A Gathering on 7.31.11 – Gerald R. Ford Amphitheater in Vail, Colorado. New York City Ballet MOVES performing excerpts of George Balanchine’s work throughout the century during UpClose: The Male Dancer by Balanchine hosted by New York City Ballet Master in Chief Peter Martins and Festival Artistic Director Damian Woetzel on 8.2.11. This blog first appeared on The Huffington Post Dance Page on July 27, 2012.